Research from the Cohort and Longitudinal Studies Enhancement Resources (CLOSER), and IOE-led consortium of UK longitudinal studies, has been cited in the Government's Child Obesity Strategy, released today. The study - believed to be the first of its kind - tracked increases in body mass index (BMI) for more than 56,000 people born in the UK from 1946 to 2001. The findings showed that children born since 1990 are up to three times more likely than older generations to be overweight or obese by age 10. Since 1946, every generation has been heavier than the previous one - and worryingly, it is the most overweight people who are becoming even heavier. For example, the heaviest two per cent of people born in 1946 had a BMI of around 20 by the age of 11, compared to 27 for the most obese children born at the turn of the century. People are also becoming overweight or obese at an increasingly younger age. Half the men of the 1946 generation were overweight by the time they were 41 years old, compared to age 30 for men born in 1970. Half the women born in 1946 were overweight by age 48, compared to 41 for the 1970 generation. Research from the IOE's Centre for Longitudinal Studies (CLS), based on the Millennium Cohort Study, also featured the Government's strategy. 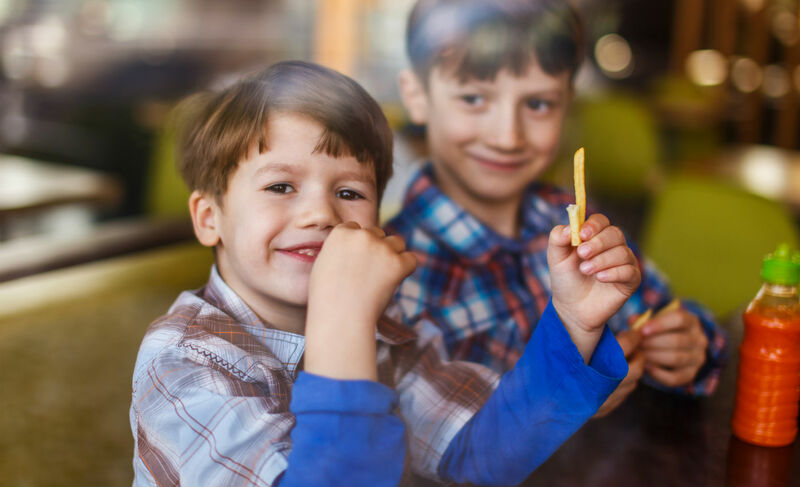 Findings from the Millennium Cohort Study have shown that 5-year-olds from the poorest households are twice as likely to be obese compared to children from better-off homes. By age 11, they were almost three times as likely to be dangerously overweight. Millennium Cohort Study research has also been used to justify specific measures outlined in the strategy. A study published by CLS earlier this year found that taking part in organised sports outside of school improves children's educational attainment. The Government's strategy emphasises the importance for children getting a least an hour of physical activity every day, and includes measures to support school sports. But the Government has been heavily criticised for what have been called 'weak' efforts to act on the evidence. One of the most controversial initiatives is a voluntary target for manufacturers to cut sugar in children's food and drink by 20 per cent over the next four years. Reductions in sugar content will be monitored by Public Health England. Funding for school sports and breakfast clubs will be boosted from revenues of the so-called 'sugar tax' on sweetened drinks that comes into force in 2018. The Obesity Health Alliance, a coalition of 33 charities, medical royal colleges and campaign groups, said the plan fell "disappointingly short of what is needed", with some anticipated measures "significantly watered down or removed entirely".